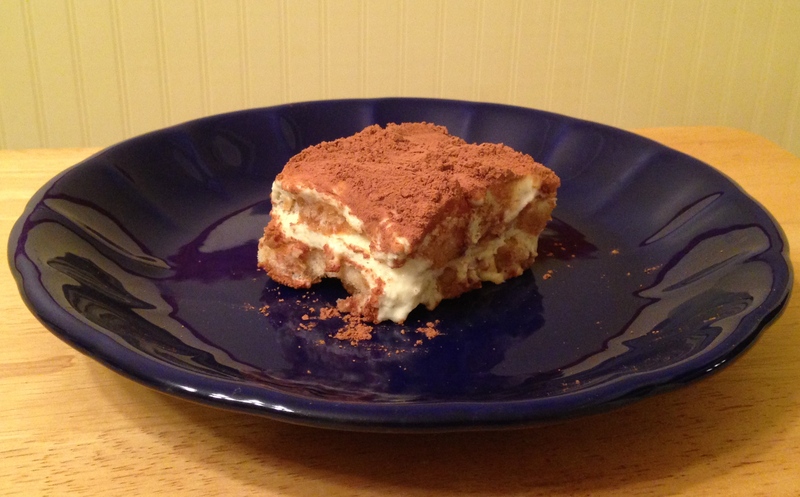 Tiramisu, which means “pick me up,” was supposedly invented in Italy in 1969. If you haven’t had it, well, then you just haven’t been living. It is a scrumptious creamy dessert, and one of my favorites. This recipe contains a lot of room temperature raw eggs. This, of course, did not stop me from licking my fingers throughout the process. We’ll just call it quality control. First, I mixed 6 egg yolks with 1/4 cup of sugar. This took several minutes to get it thick enough. 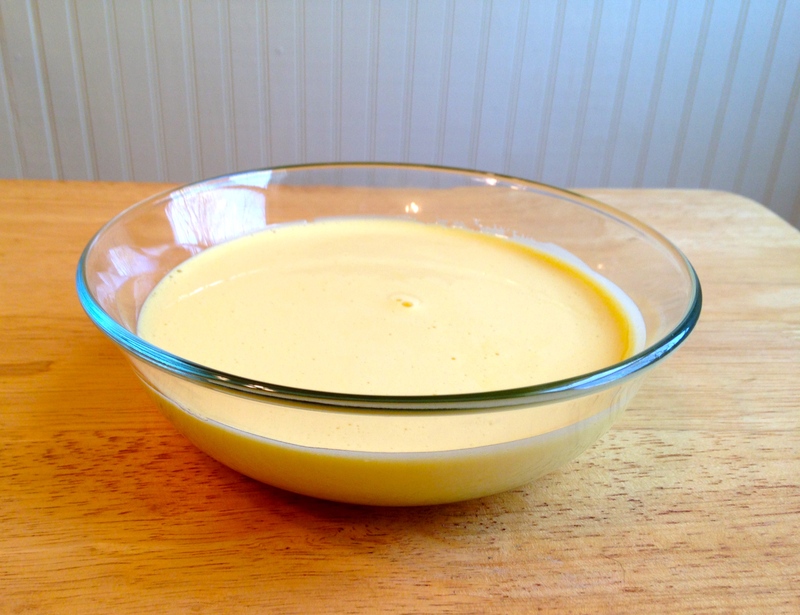 A consistent complaint I saw while searching for a recipie was that the custard came out too runny. Apparently, the eggs are the culprit. 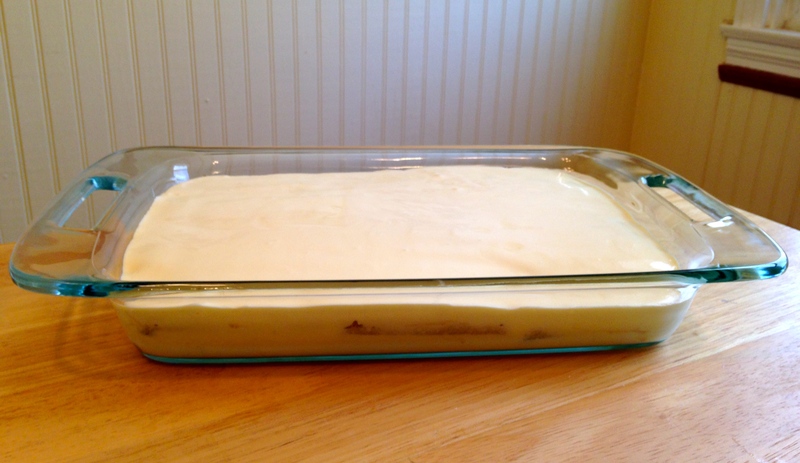 Once it seemed thick enough I added in the mascarpone (basically an Italian cream cheese). Some recipes skip egg whites. However, this helps give the custard its thickness. 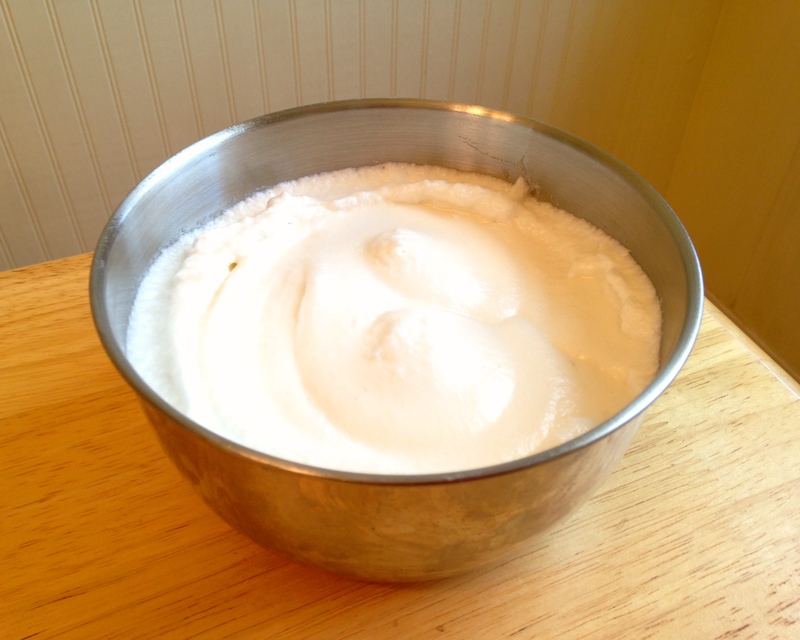 The recipe said to beat 4 egg whites and 1/4 cup sugar until stiff, glossy peaks formed. I had never beaten eggs for a dessert before so I was surprised just how fluffy they got. This took a while to accomplish. Although my recipe didn’t explain this, the egg whites should be at room temperature and the sugar should be added in gradually. I probably should have beaten them longer, but I was concerned about over-beating them and having to start over. 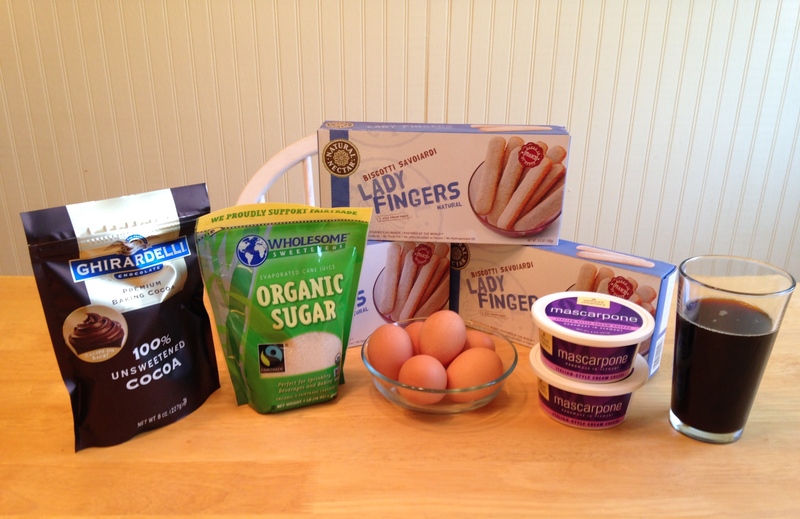 Once the eggs, mascarpone, and sugar were combined, it was time to prepare the pastry portion of the dessert. 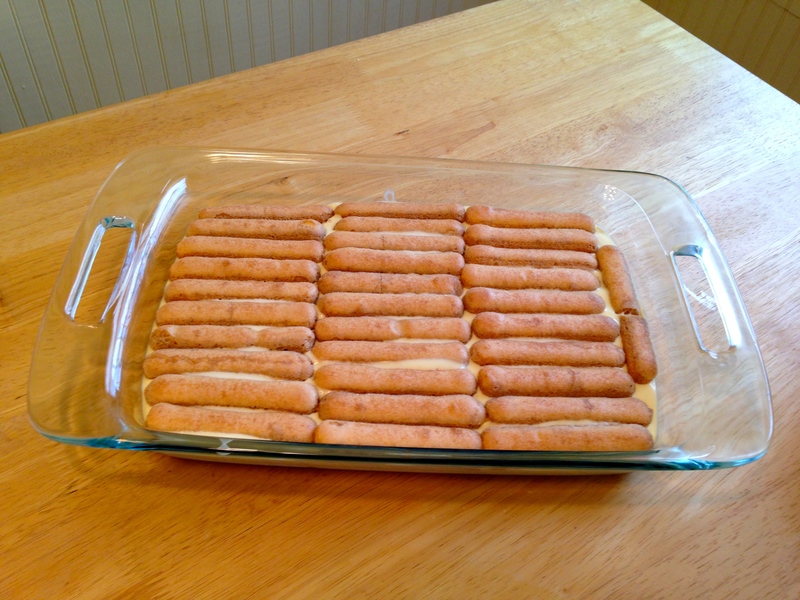 The recipe called for 36-48 lady fingers, but it took 60 for me to do two full layers in my dish. 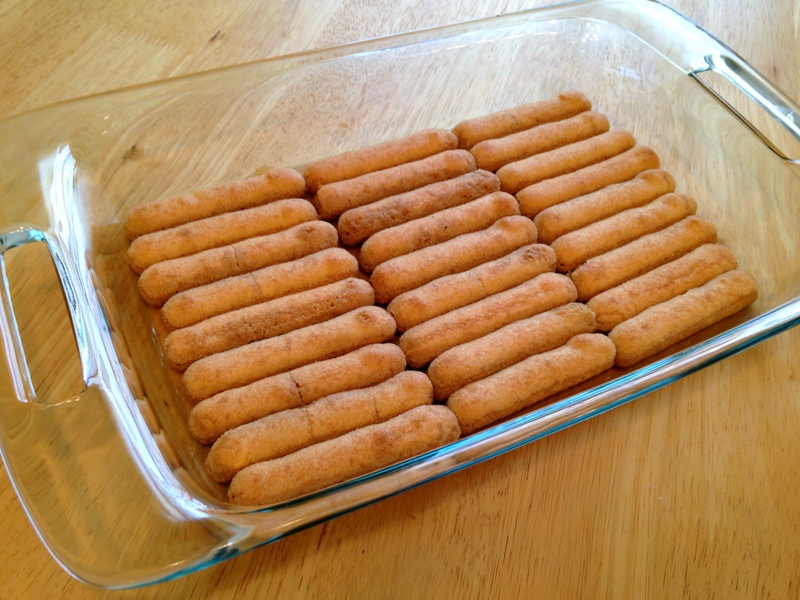 The lady fingers (make sure you get the hard rather than spongy ones) are dipped (very quickly) in coffee or espresso, just long enough to cover them. If you let them soak they will get too soggy. Then it was just a matter of building the layers. 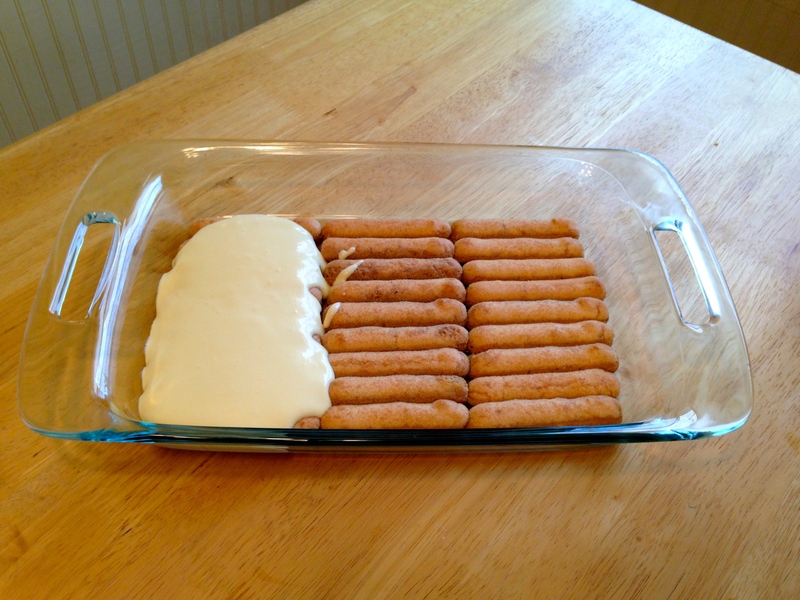 Two of the coffee-soaked lady fingers and two of the custard. 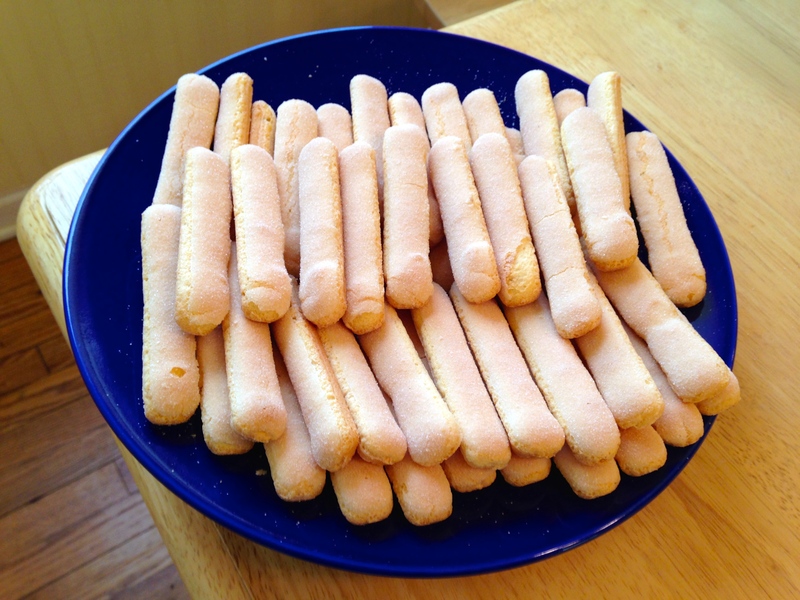 I’m really glad I got an extra box of the lady fingers “just in case,” though I was hoping to have extras to snack on. No such luck. 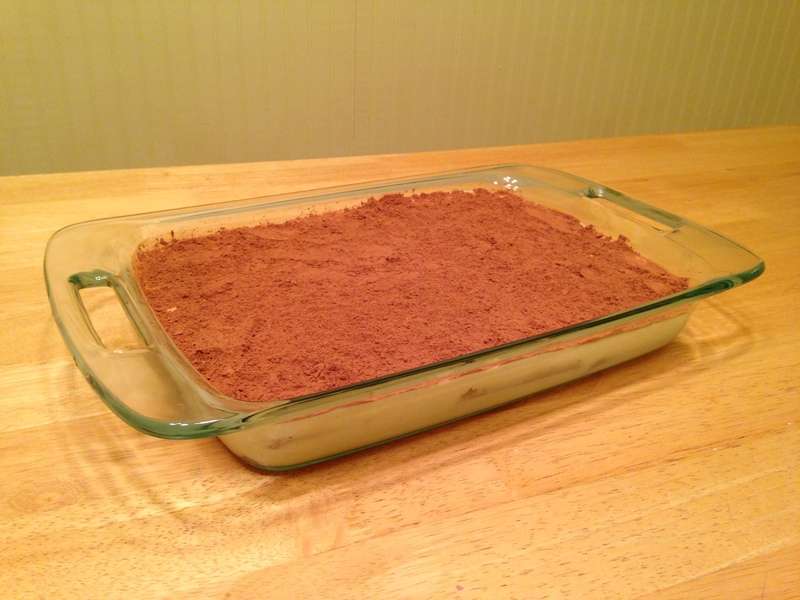 Finally, it was time to put tiramisu in the refrigerator for 8 hours and try to pretend it wasn’t there. When it was ready, I added a healthy layer of unsweetened chocolate to finish it off. 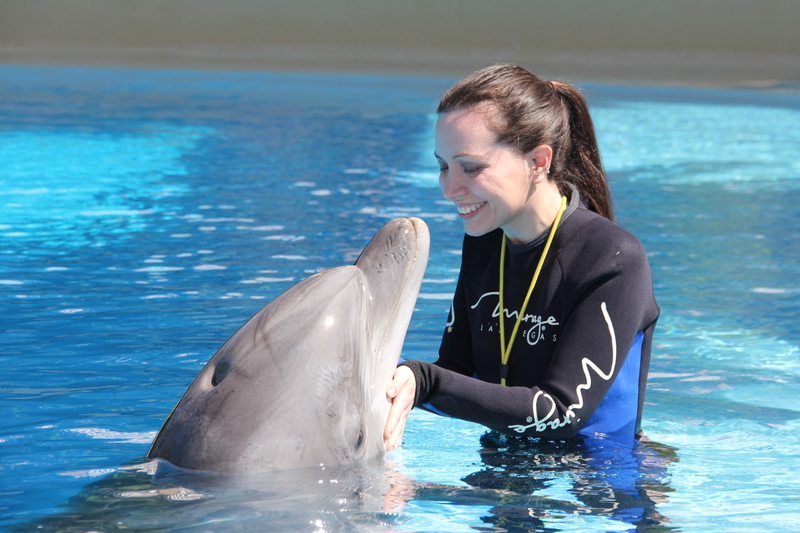 I may have gotten a little overzealous with it, but you can’t blame a girl, can you? While I definitely do not have a career ahead of me as a dessert photographer, it was rich, creamy, and delightful. If you want to try this at home, you can find the recipe I used here.